After watching Joe Pavelski pick up two assists and play more minutes than any other forward on the San Jose Sharks roster through the teams first two games it is clear that the man known affectionately as “Big Joe” has came out of the gate with his tail on fire. Throughout these two games Pavelski has been all over the ice, spending time at center and on both wings as Sharks head coach Todd McLellan has tried to configure his best line combinations and make the most of his hot hand. But while there is no doubting that Pavelski has been one of the Sharks best forwards thus far there are a number of people whom expect the 5’11”, 190 lbs. center to slow down as the season progresses. What these people fail to recognize is that Pavelski will have great motivation throughout the 2013-2014 season to not only maintain his great play, but to improve upon it. The two main reasons that will be motivating Pavelski throughout the season are that he is looking to lock up a spot on the U.S. Olympic roster and to prove his worth for the giant contract the Sharks signed him too this summer. While some players in the NHL may feel that success with their club team is much more important than winning a gold medal with their national team it can be assured after watching the 2010 Olympics that Pavelski does not fall within this camp. Pavelski posted 3 assists and a +2 rating in 6 games during the 2010 Olympics, but more than just production was the heart and grit that he provided to the team. This willingness to contribute in all three ends of the ice while playing across all three forward positions led Brian Burke to label Pavelski the team’s “Swiss Army Knife”. After watching this contribution in 2010 one would assume that Pavelski would have a guaranteed spot on the 2014 Olympic team, but with the added dimension of a much deeper forward pool for the U.S. that will have to be tailored to playing on the expanded international ice this is no sure bet. The only way to truly prove his worth to make the roster is to contribute extensively during the first half of the season, and if Pavelski’s first two games of the season are indication he has received the message. In addition to wanting to participate in the 2014 Olympics for the U.S., Pavelski will surely be motivated by wanting to make sure that he lives up to the 6 year, $30 million contract extension signed over the summer by helping the Sharks win a Stanley Cup. While some players would be content with taking the money and sitting on the beach-especially when those beaches are in San Jose-it is nearly impossible to imagine Pavelski being a player that would do this. This point was already put to the test as Pavelski posted the two largest point totals of his career immediately after signing a four year contract in the summer of 2010. Simply put he is too prideful to even consider dropping his level of preparation even one iota, and in fact is the type of player to step up and prove he was worth signing to a large contract. 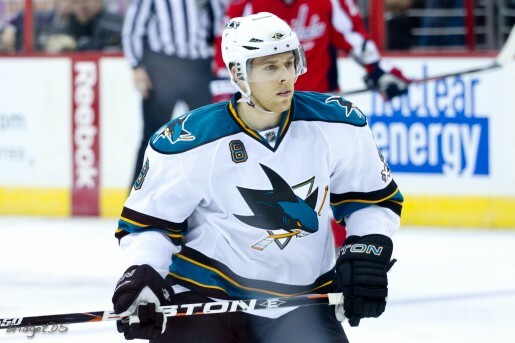 It is nearly impossible to see this desire to prove his worth and deliver a championship to a Sharks organization that has been a playoff mainstay in recent seasons-they have made the playoffs in each of Pavelski’s seven seasons-wane throughout the season and in fact it will likely result in an increase in productivity as April approaches. After watching Joe Pavelski come out of training camp looking as motivated and effective as ever it is apparent that he has both added an extra edge to his game and is more motivated than ever entering the 2013-2014 season. When looking at external factors affecting this step up in play it is easy to see that understandable motivating factors can be found in the form of trying to lock down a roster spot on the 2014 U.S. Olympic Team and to justify the massive contract he received from the Sharks over the summer. Both of these factors will continue to reign supreme throughout the 2013-2014 season, and as a result it would be no surprise to see Pavelski post the best statistical season of his career thus far.